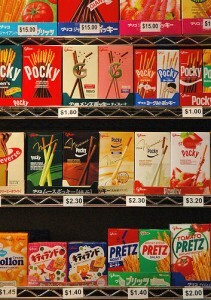 One of the most famous snacks, POCKY, is a pretzel stick coated with chocolate. Not only in Japan, is it sold all over the world. 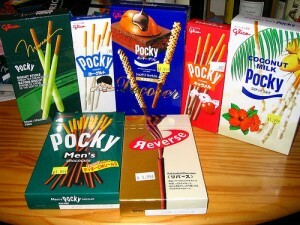 POCKY was produced by The Ezaki Glico Company and first sold in 1966. Since then, new flavors were born one after another. 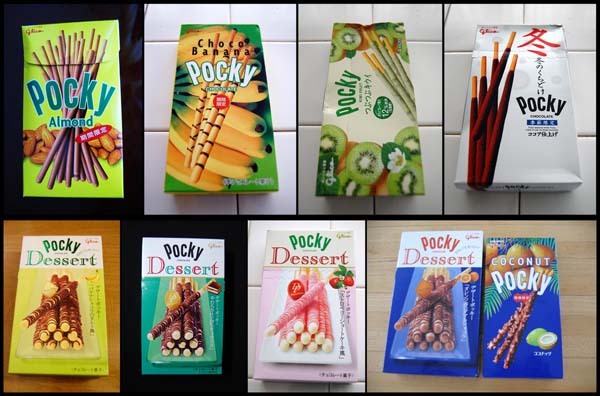 There are big sized “giant POCKY”! !